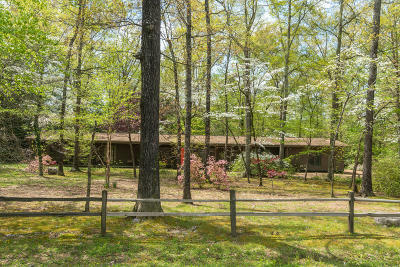 Come see this classic example of a MID-CENTURY MODERN home as soon as you can - it will be gone fast. 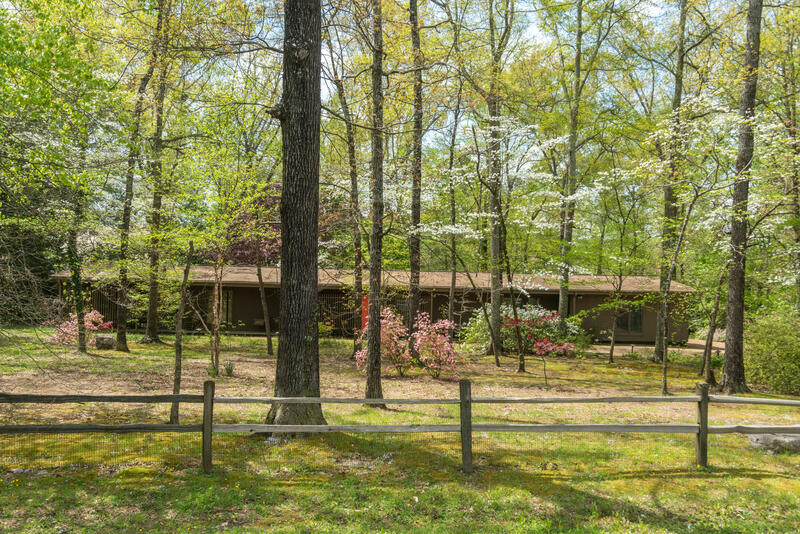 Located in the heart of Hixson on an exquisitely landscaped 1.3 acre lot you will think you have stepped into a Frank Lloyd Wright home with all the extra details in the architecture. Enter into a spacious open living room and formal dining room with built-in wall projector. The master suite is set apart from the two other large bedrooms, den, family room, office room and unbelievable storage. Each bedroom boasts floor to ceiling closets. The large kitchen is a cooks dream with lots of solid-surface counter and includes a solarium with a small water fountain and offers serene views of the magazine-cover back yard. There isn't enough room to tell you about the extra carport areas, storage rooms and shop. This one-owner home was built with love, care and attention to details that provide modern convenience and comfort and is ready for its next family to make new memories. It won't last long so call today for an appointment to see inside. 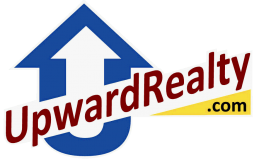 Be sure to check the layout, video and photos we've attached. It's worth a visit just to see the azaleas in bloom and hundreds of other lovingly-grown plants throughout the property. With the privacy of the 1.3 acres, this 1-owner home is ready for its next family and all the memories you'll create. It won't last long so call today for an appointment to see inside.